The DeWalt DCF610 Cordless Screwdriver is a 12V max Lithium-Ion powered driver with a spring-loaded quick-release chuck. The DCF610 is well-balanced, lightweight and will easily stand on the battery pack, but packs enough power to quickly drive 3-inch deck screws. The three LED lights at the tip of the chuck provide considerable light onto the work surface. DeWalt built the trigger so that slightly depressing the trigger will activate the LEDs without starting the driver's motor. While we'd like to see DeWalt abandon their use of map-style operating manuals, this is a minor wart on a very nicely-built tool. Includes two 12-volt max Lithium-Ion batteries, AC charger, belt hook and canvas carrying case. Spring-loaded quick-release chuck makes one-handed bit changes a breeze. Three-year limited warranty, with one-year of free service on worn parts due to normal use. We've rarely been a fan of 12-volt drills or screwdrivers, mainly because they've been limited in power. With the improvements in lithium-ion battery technology, today's 12-volt drills and drivers are easily able to handle tasks that would have been the domain of 18-volt drills just a few years ago. 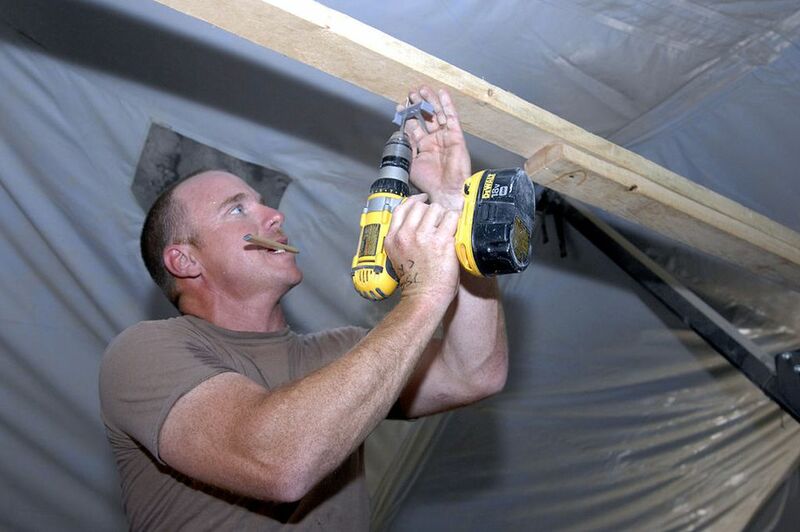 The DeWalt DCF610 Cordless Screwdriver is one such tool. We were impressed with just how quickly and effortlessly the driver handled three-inch deck screws. The unit is small enough to fit into a work pouch for carrying, or into tight areas where other drills might not fit. The entire package is well-balanced and lightweight enough to make it ideal for all kinds of jobs where weight might be an issue but you don't want to sacrifice power. The three-LED lights on the tip of the clutch is surprisingly bright, and DeWalt built their trigger so that slightly depressing the trigger will turn on the lights without starting the rotation of the screwdriver. Additional thoughtful features include a comfortable ergonomic rubberized grip and rubber bumpers on each side of the drill's body. These bumpers will help protect the drill's case when the unit is laid on its side. Another nice feature is the ability to stand the drill on the battery base, which is a feature some other small driver manufacturers have overlooked. It's worth noting that while the unit includes a canvas carrying case, a lot of contractors would appreciate a hard-shelled carrying case. Additionally, DeWalt has traditionally used map-style operating manuals.